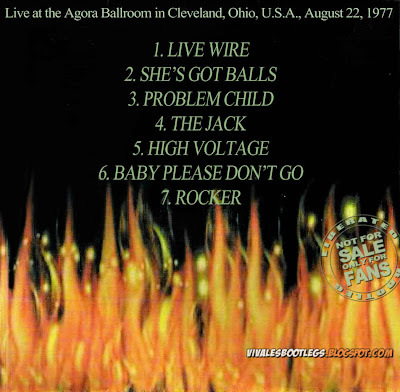 Recorded Live at Agora Ballroom, Cleveland, USA - August 22, 1977. Excellent Soundboard Recording :: Vinyl RIP? :: Lossless FLAC. Files: 7. :: Size: 308 MB (flac). 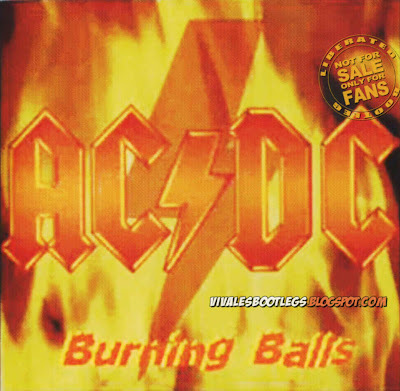 Personnel: Bon Scott - lead vocals :: Angus Young - lead guitar :: Malcolm Young - rhythm guitar :: Cliff Williams - bass :: Phil Rudd - drums. Notes: Quality - soundboard, and a great show. For me, this is the best ACDC live recording out there! Great show, great setlist, wild audience, superb recording. Highly recommended!.<-(Info taken from original info file). Vous avez raison de ce répertoire a quelque chose de spécial. Fantastic.